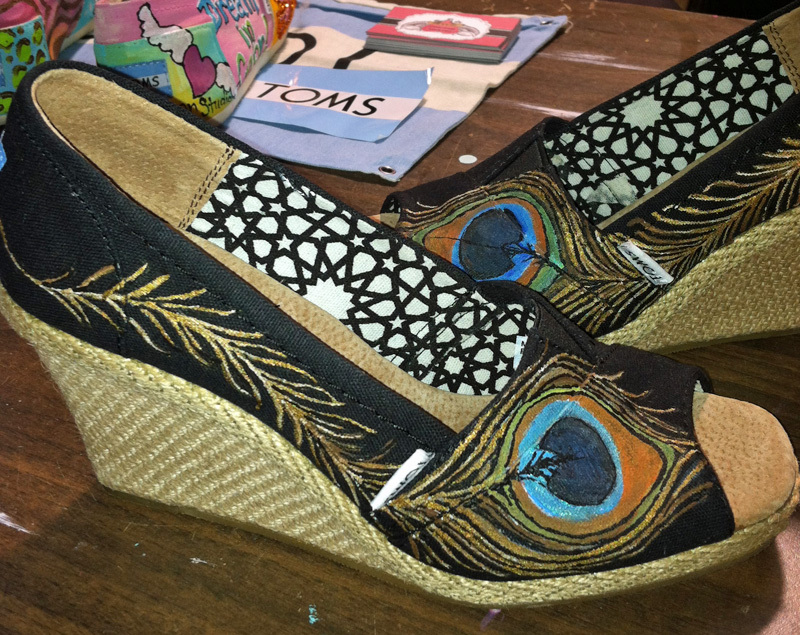 These are the first pair of TOMS wedges that I have painted! 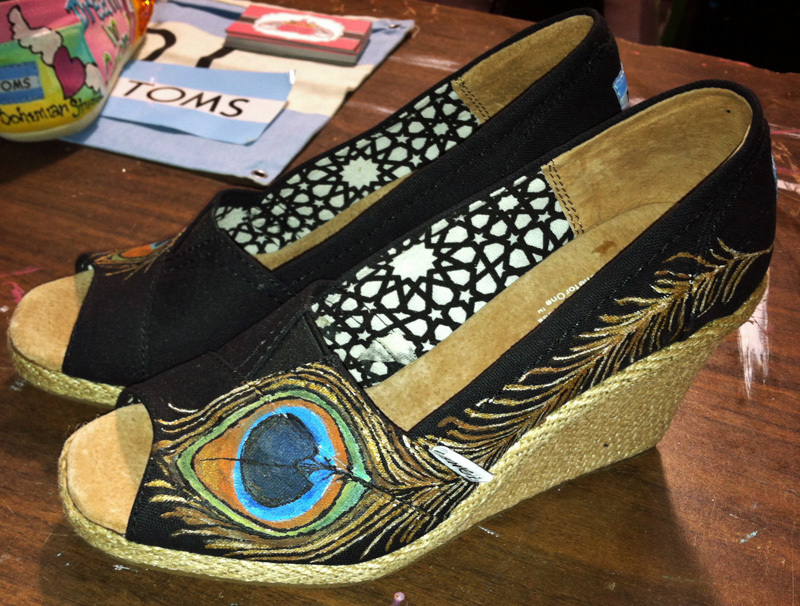 I love the way the peacock feather wraps around the shoe. So pretty! 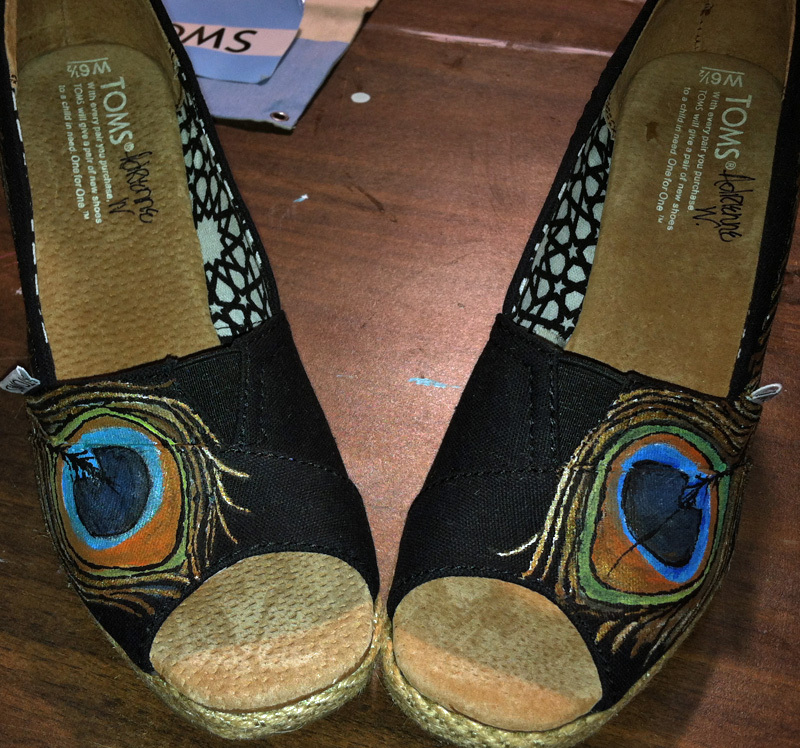 If you are interested in painted toms but would like something different for yourself, please just contact me.